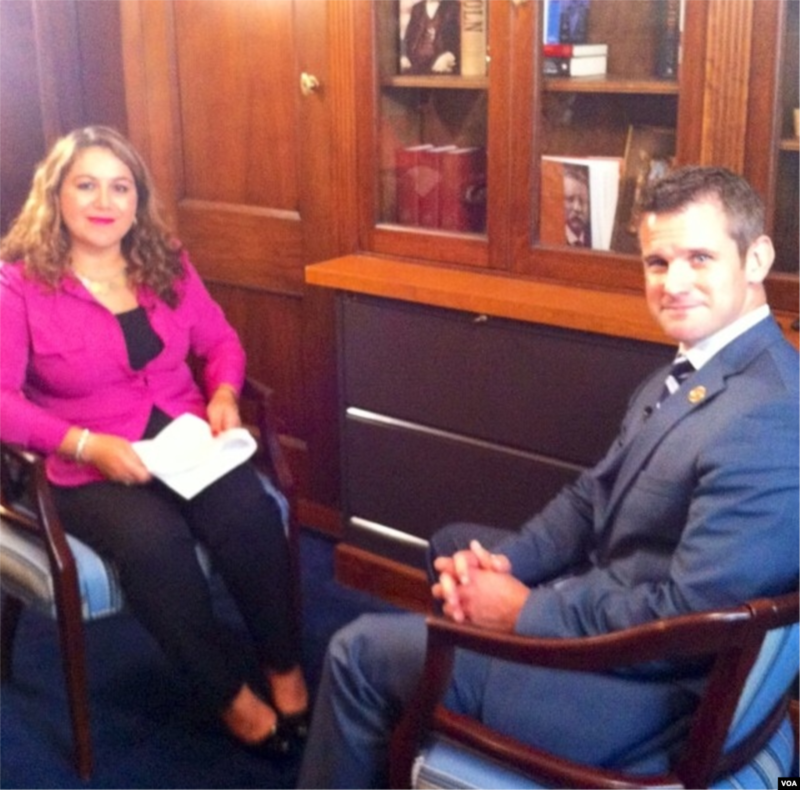 5 TV Ashna’s Zheela Noori in an interview with Congressman Adam Kinzinger on Afghanistan Politics. 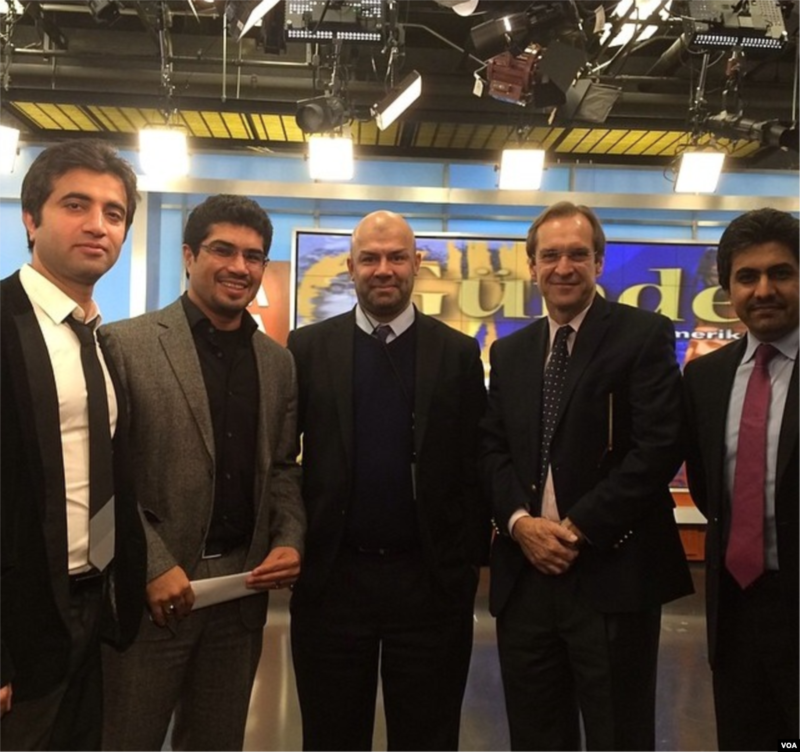 6 From left to right: Afghan staff members Abdullah Orokzai, Ahmad Sear Zia, service chief Masood Farivar, VOA Director David Ensor, and Said Suliman Ashna from the Afghan Service after an episode of the TV program Pivot Line. 7 TV Ashna’s Ahmad Fawad Lameh in an exclusive English interview with Afghan President Hamed Karzai in Kabul. 8 TV Ashna’s Anchor Shaista Sadat Lameh in an exclusive Dari and Pashto interview with Afghan President Hamed Karzai in Kabul.